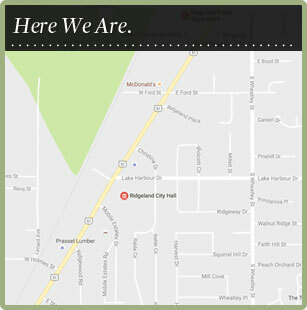 The City of Ridgeland is known for its lively community events that attract visitors and keep residents coming back for more. Races are open to online registration through live links below. External websites for special events and detailed information booklets, when applicable, may be clicked on below. Ridgeland hosts numerous softball and soccer tournaments at Freedom Ridge Park. The Ridgeland Tennis Center hosts annual tennis tournaments, statewide junior and adult championships, USTA League Championships and other tournaments. Our high-profile events draw participants and fans from all over. This Fourth of July celebration offers hot air balloons lit up at dusk, breath-taking fireworks display, national and regional musical acts, and children’s activities. Come to Northpark Mall on the Friday evening prior to July 4 to enjoy this patriotic holiday. Our traditional early afternoon Christmas parade brings the community together in the historic Jackson Street District and Olde Towne neighborhood. The annual Heatwave Classic Triathlon takes place on the first Saturday in June. Participants start this multi-sport event with a 1/2 mile swim in the Ross Barnett Reservoir. A 24.5 mile cycling segment occurs along the scenic and historic Natchez Trace Parkway. The running component is a 10K on the heavily shaded Ridgeland multiuse trail. For details, visit www.heatwavetri.racesonline.com. Circus acts, Nickelodeon characters, and midway rides entertain children for five days in April. Participation is encouraged during the Backyard Circus, Nylon Zoo, and Kid Karaoke. Visit www.kidfestridgeland.com for details. Every April, a recreational bike ride is hosted by Ridgeland along the Natchez Trace Parkway. Several distance options of 25, 50, 62 or 100 miles make it suitable for varying ability levels. For details, visit www.natchezcenturyride.racesonline.com. Carnival games, hayrides, face painting, and lots of treats! Volunteers make this event a smashing success by manning decorated vehicles with trunks full of treats and offering fun activities. Costumed children trick-or-treat from vehicle to vehicle and have an evening to remember. Trunk or Treat is held in late October.